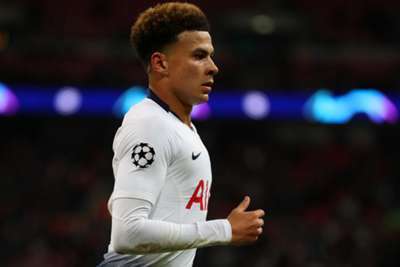 Tottenham manager Mauricio Pochettino may rest Dele Alli and Christian Eriksen against Crystal Palace as he lamented the timing of the upcoming international break. Spurs make the trip to Selhurst Park on Saturday for what will be their fifth game in 13 days and last before the November internationals. Alli (hamstring) and Eriksen (stomach) have endured recent injury problems, but are likely to feature in upcoming games for England and Denmark respectively. Unsurprisingly, Pochettino said he would prefer to keep his players at the club, but added how he managed them would be crucial. "It was a tough game against PSV in the Champions League. Then they are going to move to the national team I think. It will be tough to play two games," he said, via Football.London. "That is why we need to take care and send them really fresh. That is why we are thinking if they are going to play or not against Palace. "It is true if you said to me would you prefer all my international players stay here and rest for two weeks without competition, I would say yes. But that is impossible. "That is why we were talking before about Dele Alli and Christian Eriksen and international duty. It is play, play, then move them there and play again. If you see our schedule for the next few months it will be so tough." Spurs are five points behind Premier League leaders Manchester City and have a crucial clash against Chelsea after the international break.